Scourge of War: Gettysburg is a real-time 3D Civil War computer game for Windows. 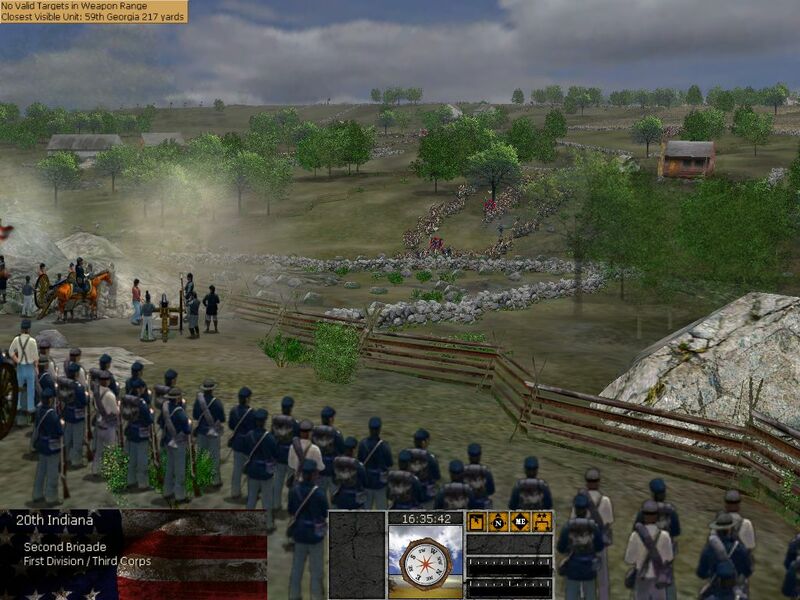 Scourge of War: Gettysburg is the next generation of Civil War combat command simulations. Not only will the player be able to test themselves against the award winning AI, online play will now make this one of the best strategic and tactical internet game challenges to date. Command your troops from the U.S. Army side, or attack Gettysburg as the Confederate rebels. 512 MB Video Card with DirectX 9.0c or higher, video card should NOT be on motherboard, but should be separate, no shared memory. This is just a partial list of the new features in Scourge of War: Gettysburg. Just something to whet your appetite! Devil's Den, McPherson's Ridge, Cemetery Hill, Culp's Hill, it's all in there!